Cariatis Hotel in Nea Kalikratia Halkidiki is a luxury hotel . It is an attractive destination of visitors, both Greek and abroad. It is located 35 km away from Thessaloniki airport in Nea Kalikratia. Many tourists visit the place, so Nea Kalikratia has been developed. It isa rather ideal either solution for those who prefer lazy summer vacations or for those who prefer24h clubbing. Because there are many bars and cafes in the region. The visitors can also visit Nea Hrakleia, a smallest village than Nea Kallikrateia with sandy beaches and well organized beach bars. 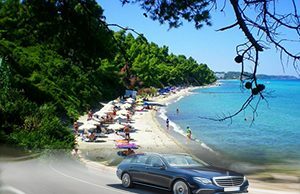 Thessaloniki taxi transfers undertakes your transfers from Thessaloniki airport to Cariatis Hotel in Nea Kalikrateia with comfort safety and reliability. Our rather luxury Mercedes E class cars are always clean and in an excellent condition. In addition the drivers always polite and helpful are willing to undercover what a passenger needs with reliability. The experience, the high quality of our services along with our luxury vehicles (taxi, minivan) and the low cost charge offer a comfortable as much as safe journey. 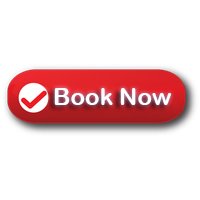 Consequently ,book your airport picks up now and start your holidays without stress and at the lower cost. Book your airport picks up now and start your holidays without stress and at the lower cost..
Nea Kallikratia is near Thessaloniki city.The visitor has the opportunity to visit the Byzantine Museum , the Archeological Museum ,the White Tower.Also,one can go to the Mediterranean Cosmos Mall for shopping, and spending time at the cafes there.Next to Cosmos there is the Magic Park which is ideal for those who have kids.